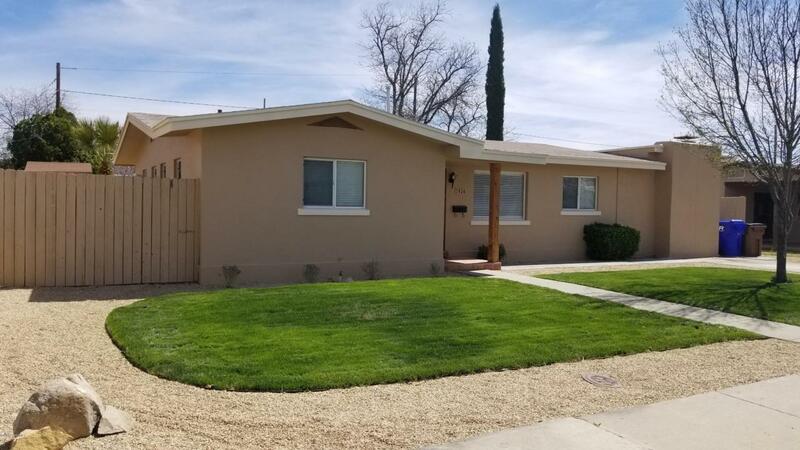 You will not want to miss this adorable home featuring refrigerated air, two master suites, another full bedroom and a flex room that can be used as a 4th bedroom or an office. Inside you will find beautiful saltillo tile throughout the main areas of the home and even through a bonus enclosed sun room. The sun room has a tongue and groove pine ceiling and looks out to a beautiful in ground swimming pool , fresh grass and a waterfall feature that will WOW you! There are 3 bathrooms and the master suite comes with its own sitting room or a dressing room. The kitchen has been very tastefully updated to include electric appliances, refinished cabinets, tile counters and a solar tube for tons of natural light.